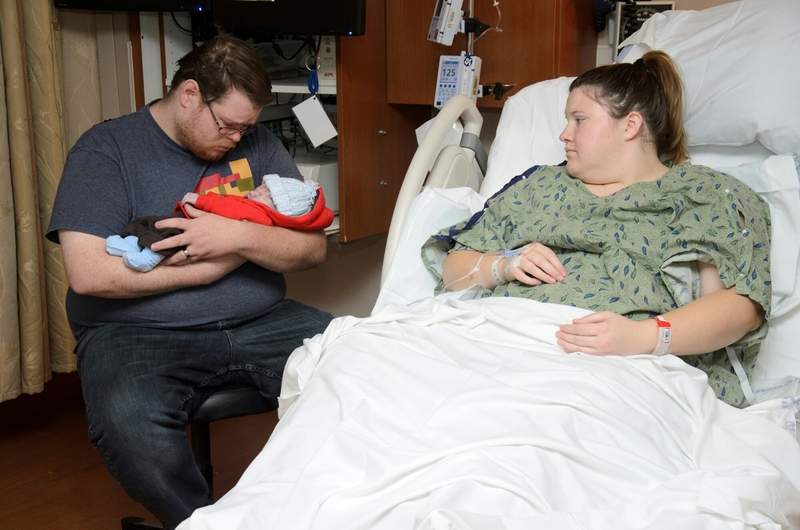 On December 24th of last year, my husband and I got in my mom’s truck so she could take us home from the hospital. The drive was short, but felt incredibly long. I remember staring down at my arms. Empty. They felt heavy. Like dead weight with no purpose…. The time that I had with Lincoln was so fleeting. I knew that I wouldn’t have long. As the hours passed, I agonized more and more over the decision to send him away with the nurse. I didn’t want to let him go. Others needed to hold him: my mother, my close friend and, most importantly, Link’s daddy. While others held him, my empty arms waited for him. In the hospital, for just a little while, I could get him back to fill that void. Upon returning home without him, something happened to my arms. They ached with a longing for my baby: the pain of my heartbreak radiating from my chest and out through my arms. The emptiness manifests itself into a physical pain; a dull, throbbing ache. As I do things that bring me joy, this ache can be numbed for some time. But it’s not entirely gone. There are moments when it returns with full force. I have been blessed with a friend who did some research on a gift to give a baby loss mama. 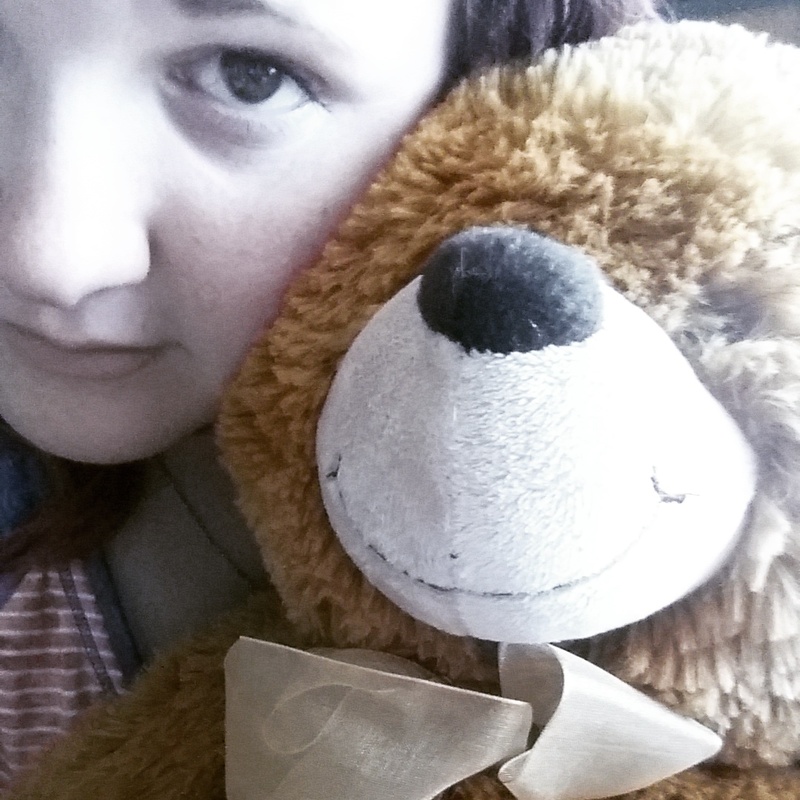 As she reached out to people on forums and blogs, she discovered the MollyBear. This is a handcrafted, stuffed bear which weighs the exact amount of your angel baby. It is made to provide comfort to aching arms. The thing about MollyBears, is that there is a very long wait list. Looking at that list is a reality check: each bear is being made for a baby who died. So many babies…. as my friend looked at that list, she decided that I couldn’t wait 2 years to have comfort for my arms. So she made her own version. She made me a LincolnBear. My LincolnBear weighs exactly 6 pounds 13 ounces. He weighs exactly what my Lincoln weighed. And he gives the ache in arms some relief. For this gift, I will always be so grateful. If you know anyone who has lost a baby, try to understand that they’ve lost their ability to nurture. We are moms, without a child here to comfort and to soothe. I cannot know for sure, but I imagine the ache will stick with me until I have another baby to fill the void there. For now, I will hold this bear and feel so grateful for my friend who did the research: who found a way to ease my pain. So heartbreaking. What a sweet friend to make you a Lincoln Bear.